Sorry I didn’t get chance to update the blog yesterday. 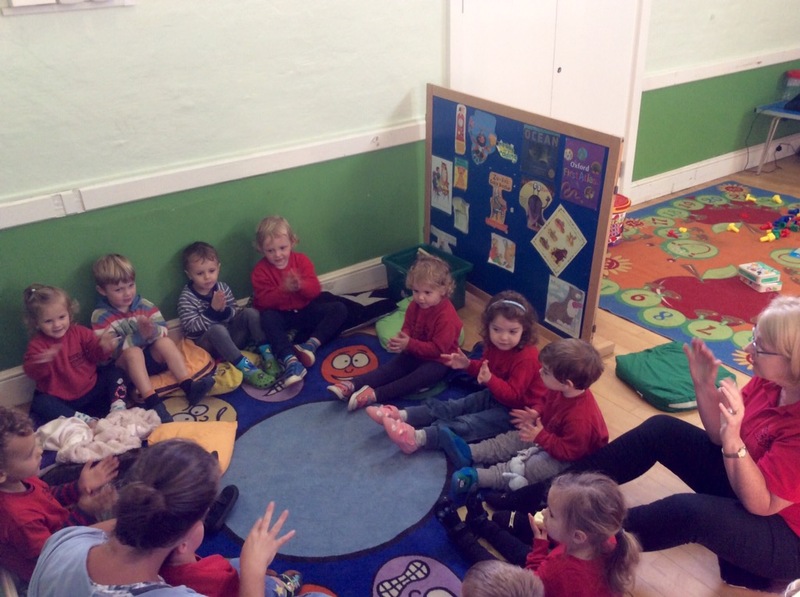 On Tuesday Liz came in for more music fun singing ‘sleeping bunnies’ and using the shaking eggs and rainmaker. 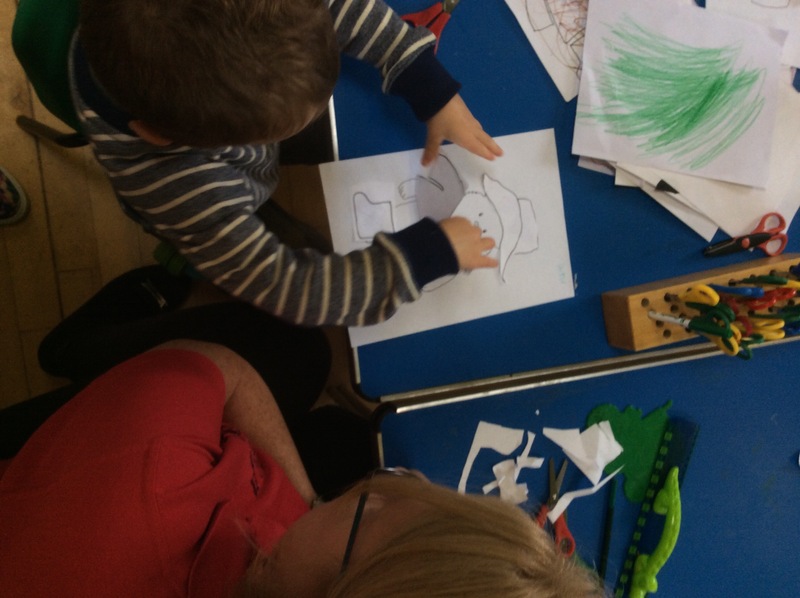 Following our Autumn theme we were colouring and cutting out Paddington Bears outdoor clothes and sticking them. 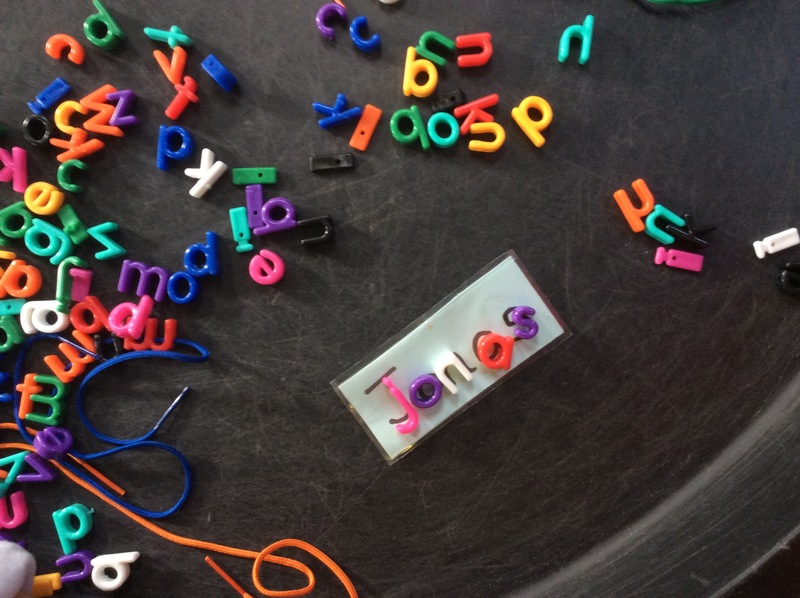 We had the new lacing letter game, which develop fine motor and also letter recognition. 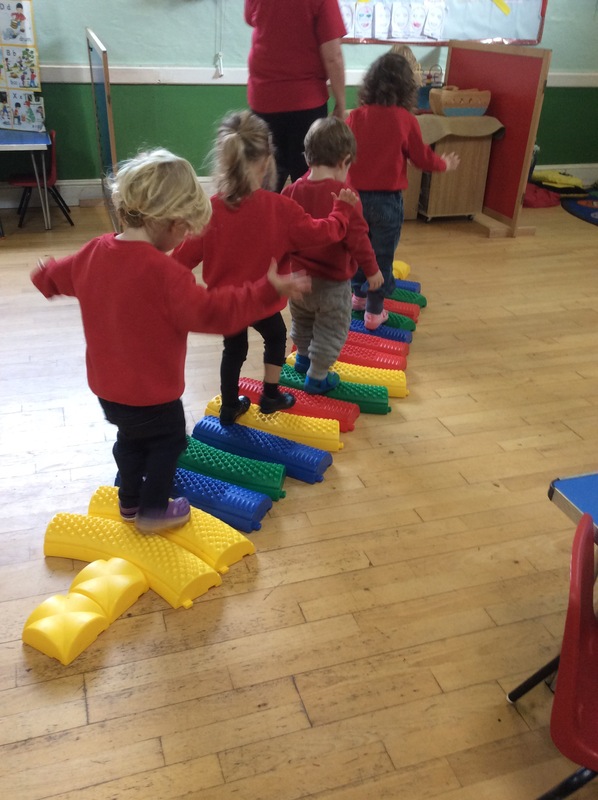 We had the balancing blocks out which the children ended up rearranging in a line and walking over, developing their gross motor skills.